Carbon Steel Socket Weld Fittings, which has great effect quality. We likewise offer the equivalent in various evaluations and determinations, for example, ASTM A234 Carbon Steel Forged Socket Weld Fittings, ASTM A105 Carbon Steel Forged Socket Weld Fittings, and ASTM A106 Gr. B Carbon Steel Forged Socket Weld Fittings. Carbon Steel Forged Socket Weld Elbow Fittings is regularly utilized in oil and gas applications which incorporate procedure, seawater, firewater and subsea pipework frameworks, with related risers, manifolds, weight vessels, valves and warmth exchangers. Utilizations of Carbon Steel Forged Socket Weld Tee Fittings in different ventures incorporate contamination control hardware, for example, pipe gas desulfurization gear (FGD), mash and paper, control age, compound, pharmaceutical, desalination, mining, metallurgical and marine businesses. 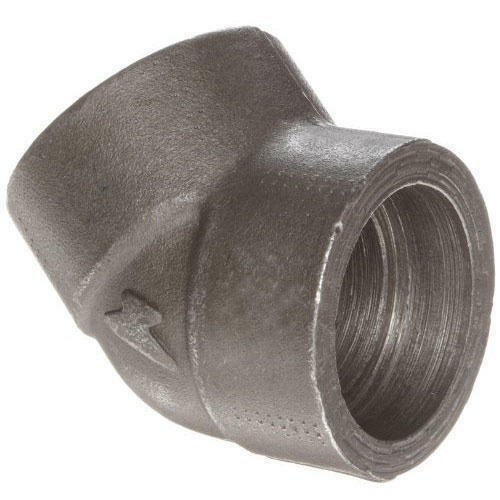 There is no obvious pliable fragile change in Carbon Steel Forged Socket Weld Cap Fittings, only a continuous lessening in effect vitality as the temperature is brought down. The effect vitality in Carbon Steel Forged Socket Coupling Fittings differs as indicated by item type and generation course. The effect quality of welded Carbon Steel Forged Socket Weld Cross Fittings is marginally not as much as that of parent metal. It is an appropriate acknowledgment paradigm for Carbon Steel Forged Socket Weld Union Fittings that it is reachable with all item shapes down to low temperatures. The copper expansion in Carbon Steel Forged Socket Weld Plug Fittings is in charge of its upgraded protection from sulphuric corrosive.